The organisers of HOP Fest have revealed the first acts which will play the festival when it returns this summer. Moving to The Black Prince in Northampton, the three-day festival will be headlined by Polish death metal quartet Vader on the Saturday night. Last year, Vader played 126 gigs in 44 countries on three continents. 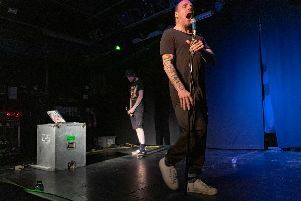 They released their latest album The Emperor in 2016. Other acts confirmed include Kill The Ideal and A Titan, A Deity who will play on the main stage on the Friday night and Loose Tooth who will be playing on the second stage. Joining Vader on the main stage on the Saturday will be Ashborn and the winners of the Northamptonshire leg of Bloodstock’s Metal 2 The Masses event. The second stage on the Saturday will features sets by Death Remains, Lady Jane’s Revenge and The Final Clause of Tacitus. HOP Fest’s Sunday so far includes The Young Hearts playing on the main stage with Broken Empires, Black Tree Vultures and Darylus playing on the second stage. More acts will be announced in the coming weeks and months. HOP Fest is from Friday, June 28 to Sunday, June 30. Tickets are on sale now and cost £50 for a weekend ticket or £20 for day tickets.